Last week, Mike LoMonico shared big news about the national tour of First Folios from the Folger vault. Now that you know where the Folio will be in your state, we’re sure you’re dreaming up all kinds of fabulous field trips. (I can’t wait to follow a First Folio from here in DC to my beautiful hometown of Wheeling, West Virginia!) Until then, why not get (even more) excited and ready for 2016 by exploring some of these online resources? TEACHING IDEA: Using quartos and folios in the classroom doesn’t have to mean a lecture with slides that tell the printing history of Shakespeare’s plays (though that history is wonderfully fascinating!). Try using textual variants—different versions of the same play—to spark student inquiry and analysis. In this blast from our blogging past, English teacher and Teaching Shakespeare Institute alum Sarah Lehn explains how her students question and compare language in quarto and folio versions of Hamlet—a close reading activity that works with a host of other plays, including King Lear and Romeo and Juliet. INFO AND IMAGES: Every folio has a story. 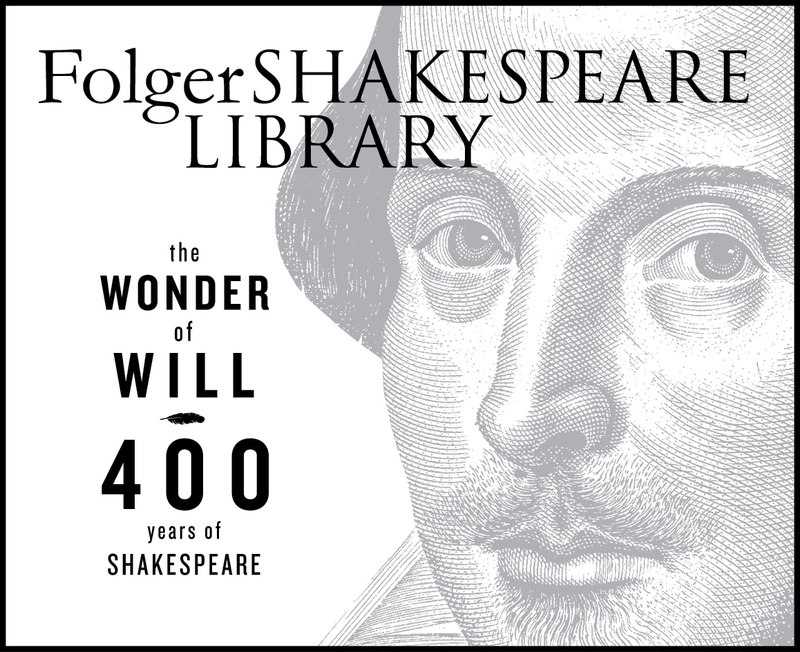 Visit Folgerpedia, a new wiki of all things Folger, for the story of the First Folio on display in the Great Hall at the Folger in Washington, DC. PODCAST: Last November, French librarians found a “new” First Folio, taking the worldwide count of known First Folios to 233. (Folger has 82 of these.) In this podcast from the Library’s Shakespeare Unlimited series, the expert who authenticated the French discovery, Professor Eric Rasmussen of the University of Nevada at Reno, discusses what makes the First Folio such an alluring and important book. 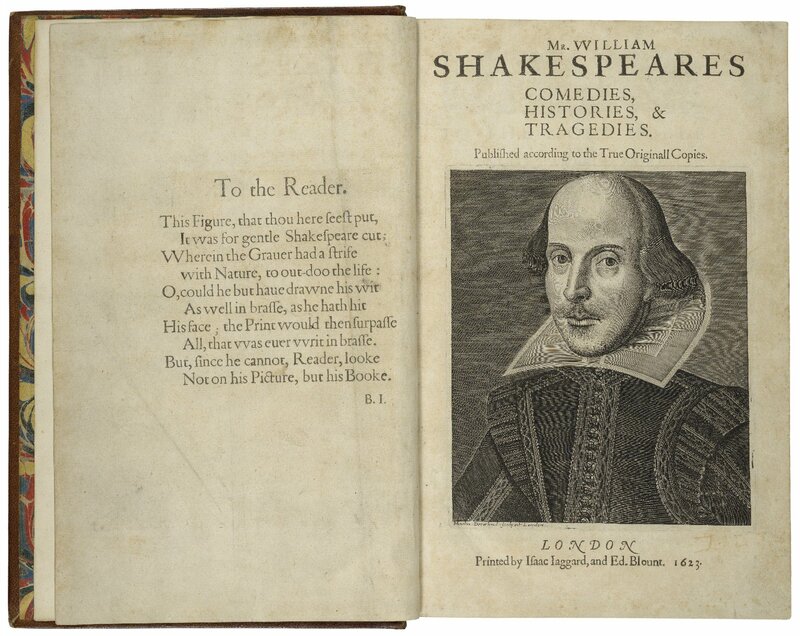 YOU, OUR COLLEAGUES: Do you use the First Folio in your classroom? If so, tell us! Leave a comment below or send me an email at cviglietta@folger.edu. Corinne Viglietta is Assistant Director of Education at the Folger. She has taught English in DC, Maryland, and France. The Folios Are Coming! The Folios Are Coming! Finally, I’ll get to see one. It’s been on my bucket list for some time. Love Shakespeare. Man, I have to go 100+ miles to see it? So be it. I’ll have to go to Providence RI to see it – it’s so close! What an experience & privilege! Let’s go together when it comes! Yay! I can’t wait to for it to come to CLE!! Road trip to Detroit! My old stomping grounds: Wayne State, Detroit Institute of Art and Detroit Public Library. Wonder when folio will be there?? It’s coming to little ol’ nowhere Vermillion, SD! When are we going? FIELD TRIP! This elicited a gasp from me that caused everyone in the room to look up! Go KC! Wonder of wonders, the Cleveland Public Library will get a visit. Yet another reason to relocate to Tucson by next year! Cool, maybe I will go see it in Boulder! Elizabethtown College, Elizabethtown, Pa. Is very convenient from where I live. Know you are excited that it is coming to Raleigh! Yay! If I can make it out there, I’ll visit the Folio in Amherst! What a pleasure! I have a facsimile copy, but seeing the real thing is a dream. I hope it has an aroma. I heard 2016 in San Diego. Very exciting. The Parthenon will be the perfect venue in Nashville, with Athena’s gratitude. Wilmington is one of the cities scheduled. Yay. So excited a First Folio will be coming to Emory’s Carlos Museum in Atlanta! Kansas City Public Library: Hooray!!! Thank you for bringing Shakespeare to Reno! So excited! Road trip to Kansas City, anybody? Yea!!!! Within two hours drive…TWICE!!!! Why, yes, it will. Iowa City: UNESCO Creative City of Literature. OU gets another reason for visiting the campus! South Bend. I can do that! You will be able to see this at the public library in San Diego and we get it in Seattle. Don’t know dates yet. Yippee! I wonder how many copies I will get to see. Glad this will be at the Art Museum here in Santa Fe. Also at the DIA in Detroit. Really? Texas A&M?! Why not UT Austin or SMU? Guess it’s time for a trip to Aggie Land! No! Our city will only get a can of Folger’s coffee. No Chicago? No St Louis? Libertyville, Il? Madison, WI; Why not Milwaukee, as well? I was hoping for Tampa Bay Area. Congrats, San Diego PL! San Francisco is already home to a First Folio, so we’re not as disappointed as we might be. The dates for the stops on the Folio Tour have not yet been set, but we’ll let you know when they are. 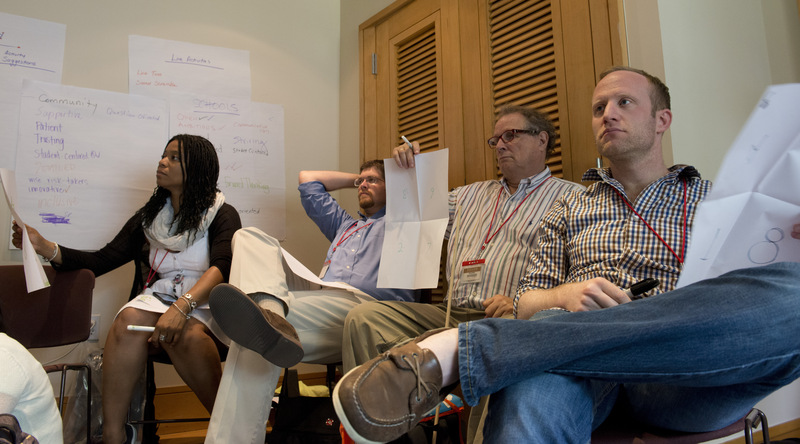 Meanwhile, Folger Education is preparing some excellent workshops and resources to accompany the Folios. We’re looking forward to coming to your state in 2016.